You've mastered social media, hired your dream team, and have a strong brand. What about office safety? Office workplace safety should never be a topic that you think about after the fact. This isn't just because emergencies cost over 35% of offices over $25,000. In some cases, your corporate office may require you to have a safety plan in place. But even if that isn't the case, now is the time to get serious about office safety. Want to learn where you should start? Keep on reading this post to find out. The best thing you can do for office safety is to develop an emergency disaster/evacuation plan. When you come up with an evacuation strategy, ensure that you have clear exit paths in the office. You should even install convex mirrors on stairwells and in tight spaces in your office so that no one collides with each other when fleeing. Assign everyone in your office a specific role when it comes to getting out. One person should keep count of employees, another should alert authorities, and someone else should gather sensitive documents. Run through the drills, unannounced, at least once per quarter. 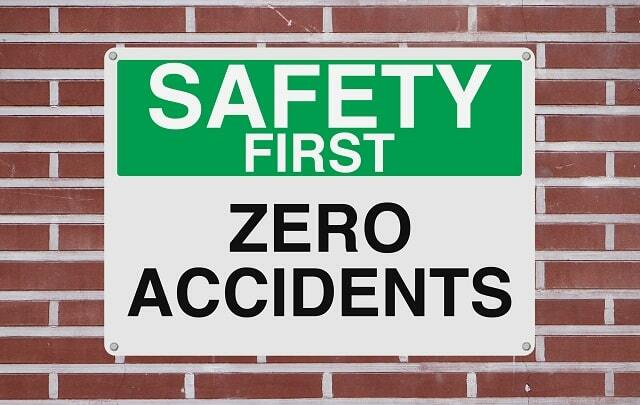 You should implement consistent safety training days and programs in your office. Come up with important safety topics for office workers to discuss during training. You also need to post signs around your office to ensure everyone follows protocol. This could include things like how to avoid slip-and-falls, reminders about proper and safe behavior, and even long-term health strategies and tips. Make sure you also have the best possible products when it comes to office safety tips and creating the right environment. Attend trade shows to learn more about potential dangers you weren't aware of, and to get the latest equipment your team needs to stay safe. View here to learn more about upcoming office safety conferences and events. Last but not least, remember the most important basics of office safety. This includes replacing the batteries in your smoke detector and carbon monoxide detector every six months, and replace the detectors altogether once every ten years. Conduct regular equipment testing and maintenance. Have specialists come into test the office air quality, and pay special attention to your HVAC units. Ensure that any office sprinklers you have are also in good working order. You don't have to spend a lot of money in order to get office safety right. Instead, it's all about taking the time to ensure that everyone on your team knows what's expected of them when it comes to workplace safety. Invest in the right equipment upfront, use common sense, and implement consequences for those that break the rules. Looking for more advice on how to do more with your business for less capital? From helping you to improve your digital marketing strategy to tips on how to make your office a better place for your team, keep checking back with our blog. We're bringing you the latest tips and tricks you can't afford to miss out on.